1. All the ingredients are measured with a mug so itâ€™s piss easy. Mix the All-Bran, sultanas and sugar in a large mixing bowl and then drown the mixture in the milk. You can add other mixed fruit if you like, just make sure all the All-Bran and sultanas are covered with milk. 2. Go off and do something while you leave the mixture to soak up the milk for about 45 minutes. 4. Sieve the flour and add a few shakes of mixed spice and into the mixture. Pour it into a greased loaf tin, or a silicone loaf tin (much better as no greasing required) and pop it in the oven for 45 minutes at 180 degrees. 5. 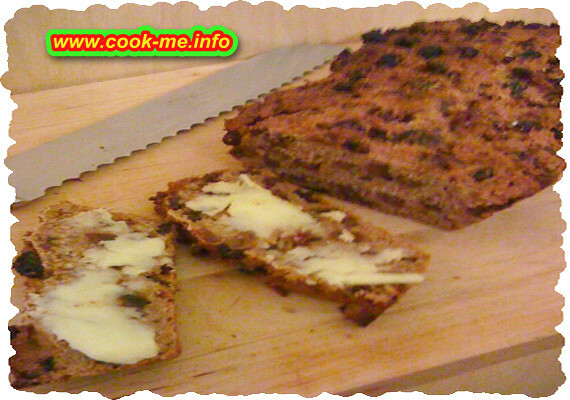 Tip onto a wire rack to cool then slice and butter to serve, ideally with a nice cuppa.